RPM Autoworx does not personally finance in-house but we are happy to be offering a great program through Synchrony Car Care. No interest if paid in full within 6 months on your auto maintenance and repair purchases of $199 or more. Synchrony Car Care lets you keep your car running safely and smoothly without tying up other credit cards because it can be used to charge service, parts, and more. 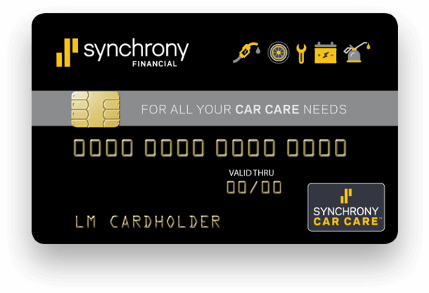 Once you're approved for the card you can use your Synchrony Car Care Card just like a MasterCard® or VISA® at all participating dealers. Let one of our service advisors process your application for you.